Ultimate Recovery is the next level of our previous After Work Stack. We developed this product to achieve the delivery of just the right amount of amino acids, mainly BCAA and glutamine, as fast as possible directly after your training. This is the time when the need of BCAA is high because the regeneration processes are running at full speed. Therefore we also added the adequate amount of carbohydrates to push Insulin which accelerates the transport of the nutrients into the muscle cells. In addition zinc contributes to normal protein synthesis and the maintenance of normal testosterone levels in the blood. 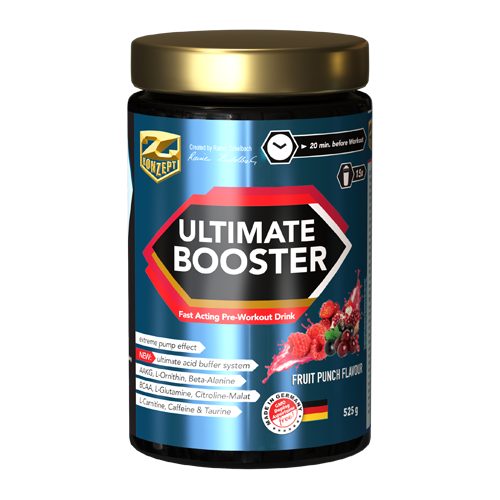 Ultimate Recovery also contains the essential amino acid tryptophan which in the body can be converted to serotonin, an important neurotransmitter. The most important recovery phase is straight after workout or sport performance. For approximately 2 hours the metabolism is accelerated extremely to compensate the main effects of the stress. Therefore the demand for important nutrients and effect of metabolism key factors is naturally increased drastically. To have the most benefit we have designed for you our Ultimate Recovery which combines all important ingredients that are relevant in this extremely important process. 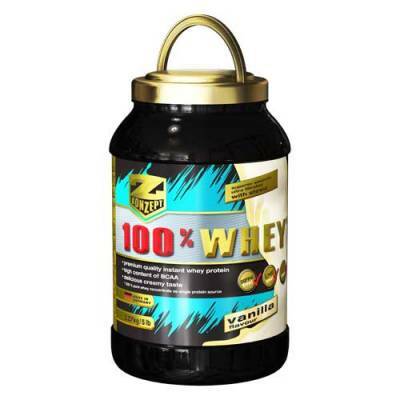 Whey Protein Isolate and Concentrate are quickly digested and deliver building material to repair stressed muscle tissue. Our 3 component carbo stack delivers super-fast up to medium term resorbed carbs to refuel your energy depots and push insulin. The right amount of insulin pushes the nutrients into the muscle cell where are they needed and is a strong growth factor in this situation. BCAA especially Leucin trigger the muscle growth process and are very important for your recovery. Glutamine is important for water retention in the muscle cell and promotes protein and glycogen synthesis. Glycine is important for building structure and regeneration. L-Tryptophane is an essential amino acid which is the basic building element of serotonin, a very important neurotransmitter. Serotonin is commonly described as “happiness hormone” because reduced levels of serotonin (or tryptophane) often lead to depressive mood. 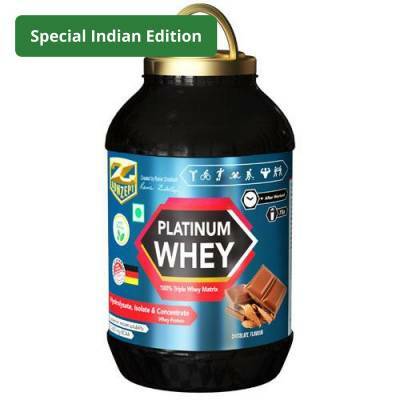 Zinc contributes to the normal protein synthesis and carbohydrate metabolism as well as the maintenance of normal testosterone levels in the blood. Magnesium contributes to normal protein synthesis, muscle function and energy-yielding metabolism. It also contributes to the reduction of tiredness and fatigue. 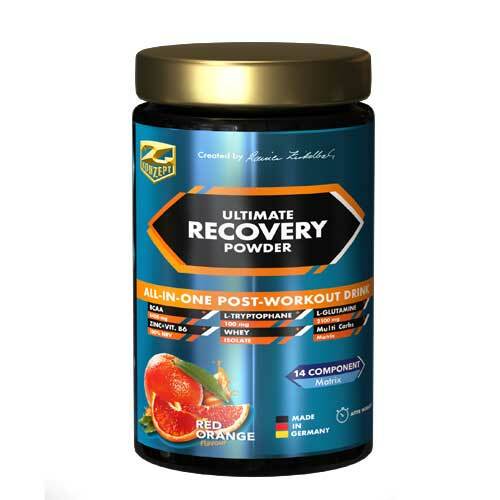 Ultimate Recovery is a protein-carbohydrate blend with a blood orange taste. milk protein (whey concentrate and isolate) (25.0 %), dextrose (24.0 %), fructose (24,0 %), ultra long-chained waxy maize starch (6,0 %), acidifier (citric acid), L-leucine, L-glutamine, L-glycine (contains gluten), L-isoleucine, L-valine, flavor, magnesium carbonate, coloring foodstuff beetroot powder (betanin), emulsifier (soy lecithine, mono- and diglyceride of fatty acids), thickening agent (carrageenians), separating agent (silicon dioxide), L-trypto-phane, zinc citrate, pyridoxin hydrochloride, colouring agent (beta carotene). Allergen information: Contains lactose and soy. May contain traces of gluten and hen‘s egg protein. 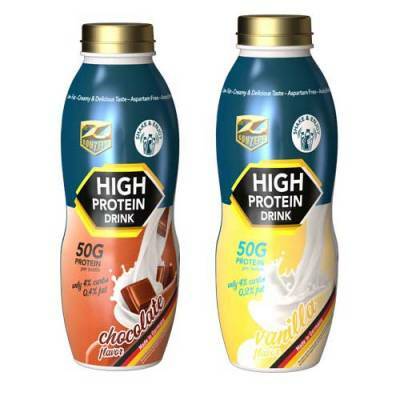 Recommended consumption: Take 1 portion = 70 g stired into 450ml water or low fat milk, immediatelly after workout.